This popular Coliseum fundraiser in aid of the Francis House Children’s Hospice returns for a fifth time. For this next edition, the show will be headlined by the pop icons The Ivy League with their big hit Tossing and Turning. 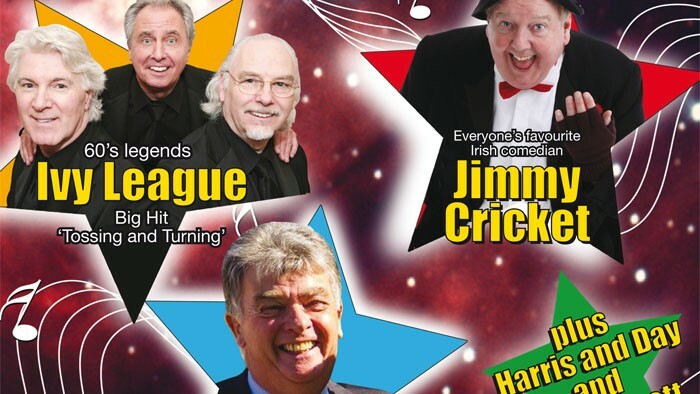 The show’s special guest will be everybody’s favourite Irish comedian Jimmy Cricket, who returns for another association with this charity gala. There will also be a fine array of supporting performers on offer and the show is hosted by the ever present Jim Nicholas (who has hosted the previous four editions).